With only one more day of July left, I thought I would tell you about my July favourites today. This is the first time I am doing a favourites post and I plan on doing one every month if not every 2 months. My first favourite of this month is something I just got a few days ago on my birthday. I haven’t worn it all month but I will wear it everyday for as long as I can, so I decided to include it this month. The moment I saw this bracelet online, I instantly fell in love with it. It looks gorgeous in the picture, but I’m telling you, it looks 10 times better in real life. I always wanted a signature piece of jewellery and I think I finally have one. Because gold is a neutral, it goes with every outfit I wear. 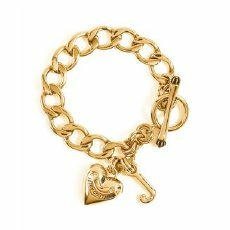 This was I first Juicy Couture purchase and I will definitely go back for more! Despite the fact that this was a Christmas gift from last December, I only started wearing it this month. The Sweet Daydream body mist contains scents of apple, raspberry, and vanilla. It is defiantly one of those fruity scents. (Sorry I’m really bad a describing smells…LOL.) I don’t usually gravitate towards smelling like fruit but I surprised myself with this one. The only down side about this product is that the smell doesn’t last very long. Then again, maybe it does and I just have a very bad sense of smell. I also own the Victoria’s Secret Sweet Daydream body wash and I must say the smell is a bit different. The body wash is more citrus and orangey, while the mist smells more sugary. When summertime first began, I noticed that is started getting a lot more blackheads on my nose area than usual. At first I thought it was just a small phase and I would go away in about a week or so. Unfortunately, that did not happen. I decided to give Paula’s Choice Skin Balancing Carbon Mask a try. I noticed a huge change in my skin after the first time I tried it. My skin was a lot smother, and my pores were smaller. About a week later, my skin started to break out again so I used it and the same thing happened. Now I use it every week and my skin feels fresh and revitalized. Before I purchased this product, I read the reviews online. I noticed some people stated that the mask burned their skin and couldn’t use it. Because of this, I encourage you to purchase the sample before buying the full size. In the summer, I love using very shimmery products. I heard about the Shimmer Strips by many people on YouTube and decided to try it. I loved it as eye shadow and blush, but not so much for a bronzer. 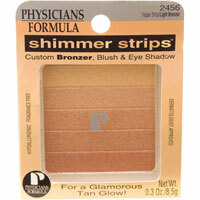 Because I is SOO shimmery, my entire face would be covered in glitter if I used it as a bronzer. This product is great for the summer, but I think it would be too glittery for the winter. For me, yesterday was the last day of summer school. 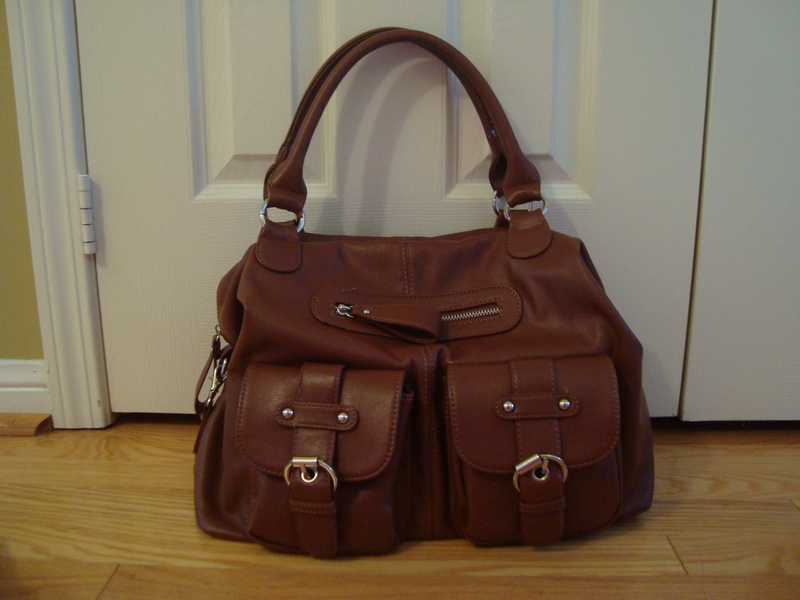 For the last month, I have carried my Aldo handbag to school. My favourite thing about this bag is obviously how chic it looks. Aside from appearance, this bag is super functional, sturdy, and can fit everything! There are so many pockets for my cell phone, keys, wallet, make-up bag, bus tickets and more. I usually wear it expanded to put my thick binder in it. I honestly can’t say enough good things about this bag. I don’t think this bag is available in stores anymore, but I’m sure you can find many similar bags at Aldo.